60 Minutes article “Sticker Shock: Why are glasses so expensive?” is about what seems like, could be a monopoly in the eye-glass industry. The story highlighted the largest company in the vision industry, Luxottica. It seems they severely inflate the cost we pay for eye-wear for corporate profits. Eye-glasses and frames only cost the manufacturer about $30 but our end cost can easily hit $300 – $500 from their companies (below). I’m all for profit-making capitalism, but when a company controls the market like Luxottica, I get pretty angry, especially when I see so many families scratching to get by during financially difficult times. EyeMed Vision Care insurance, can anyone hear “self-dealing?” They collect premiums, offer discounts, then sell you lenses and frames from stores they own? How crazy is that? Good Deal: Originally I got a great deal with Pearl, they were running a frame, lens and coating special. That’s why I went back. But, when I went there a second time, the prices doubled. I should have gone to Walmart, Costco, or a store front discount chain like I have done in the past, and I would have paid much less. These places wouldn’t take my insurance, but it wouldn’t matter, their prices are so much better. Better Deal: The last pair of glasses I purchased were less than $50 from an internet company that sells great frames and lenses directly. They offered a special, so I got two pairs for about $80. Luxottica uses its monopoly-like clout, to force competitors to sell-out or go out of business? Luxottica also owns Ray-Ban and Oakley. They purchased Oakley after their stock price plummeted. And oh yea, their price plummeted because Oakley didn’t sign a contract with Luxottica that would have paid them a large percentage of their profits, so Luxottica didn’t any longer carry their frames in their stores- they do now; according to the 60 minutes report. Ray-Bans, great name, nice frames, but great quality? The Ray-Ban frames that I bought (good deal above), fell apart after they were only 1 1/2 years old. The screw popped out. I went back to Pearl to get a screw to pop back in. They didn’t have any of the special very tiny screws. They referred me to an eyeglass repair firm. This independent company couldn’t acquire the special screw because they were not an authorized Ray-Ban dealer. I had them repaired with new temples for $50. Our family’s last few eye-glass purchases were from Eye Buy Direct, so far we have purchase 4 sets, and they are working great with no problems. The financial blog, Life Hacker published a great article: “5 Best Online Glasses Stores.” It seems as if the best deals on glasses might be had with Eye Buy Direct, but Warby Parker offers perhaps more stylish frames and ways to try them out from your home, before choosing the ones you decide to buy. Buy local is a movement that has been growing a lot lately. 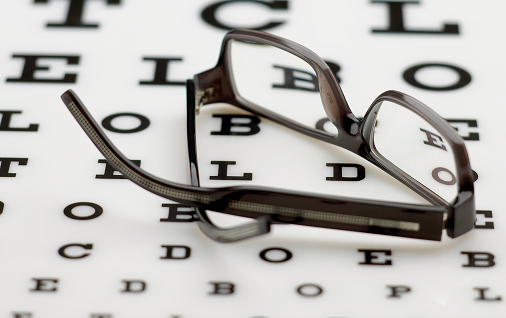 There are still many independent ophthalmologist and optometrist, that do thorough exams and sell frames and lenses. Definitely consider going to a locally owned vision firm; their service, attention and exams can be excellent, but prices for glasses will vary quite a bit there. Some people are afraid to purchase glasses online, since there are various sizes of frames depending on the size of your head and the length of your temple. Then there’s the distance between your pupils and reading your prescription. However, these internet glasses sites will help you figure that all out. I like Eye Buy Directs website’s ability to upload a picture and try them on. It’s pretty cool, and worked well for me. Warby Parker will ship you several frames to try on, this helps to give you time think about it and to ask your friends what looks best on you. It’s always smart to obtain a professional eye exam every 6 months. The exam is often very cheap; they practically give that away with the hope you’ll buy the lenses and frames from them. That is where they make their profit. At the end of your appointment, look around at their selection and deals, maybe they have a good sale or selection you like. Price it out, with the lenses, coatings etc. Pick a nice pair of prescription sunglasses too. Don’t be surprised at the total cost though. Tell them you’ll think about it, but you would like it if they will give you your prescription to take with you. Ask them to measure your pupillary distance too, since that usually isn’t done until you order lenses. The internet glass sites will show you how to measure this, if you don’t have it. Capitalism always finds a way to bring good products and services to you more cheaply, when things get over-priced, and it’s often through the internet, or locally owned companies. Take the extra time, and work through the fear to do this on your own (many people balk at doing this because they are afraid they won’t get it right). You will save money. Limiting costs for your medical care is important to helping you reach your financial planning goals. Why? If you had up your glasses’ cost, prescriptions, medical deductibles and out-of-pocket costs, it can easily eat up your income. Large overall medical costs are barriers to achieving financial goals. This will help you take control of these things! Do you have a Health Savings Account (HSA)? If so, it appears that eye glass expenses qualify for your HSA, but for more information see IRS Publication 502, before you use your HSA to purchase these things. Was this helpful? What has been your experience, good or bad? Leave your comment below, and we will “see” that you get a reply. Thank you for this information about the greed and thievery that goes on in big business with eyeglasses. The American public needs protection here, but it won’t happen with our corrupt politicians. I have read that Canada has a price protection bureau that controls over-pricing of medications from the U.S. They are to be admired for their good sense to have a watchdog to protect their citizens from the thieves of big business. This is a fine article.